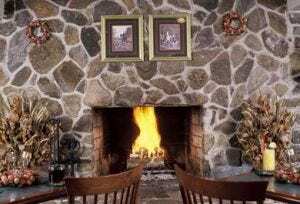 Served with warm hospitality, enjoy the evening next to a roaring fire in the field stone fireplace. Cheer on your favorite sports team or kick back in the summer with the family and our summer kid’s menu. A quaint Maine experience, the West Meadow Pub is comfortably located at the center of our hotel. The West Meadow Pub is open to the public and live entertainment is featured on weekends. Our pub seasonally serves a lunch menu and continental breakfast for resort guests from Memorial Day through Columbus Day. Private Functions: Plan your next event at our hotel. The West Meadow Pub is available for your private function, elopement or corporate party. Come celebrate and enjoy . . .
West Meadow Pub serves lite fare/limited menu when open. Full menu runs from late June through Labor Day and lite menu during shoulder/quiet season. Beverages are available year round.